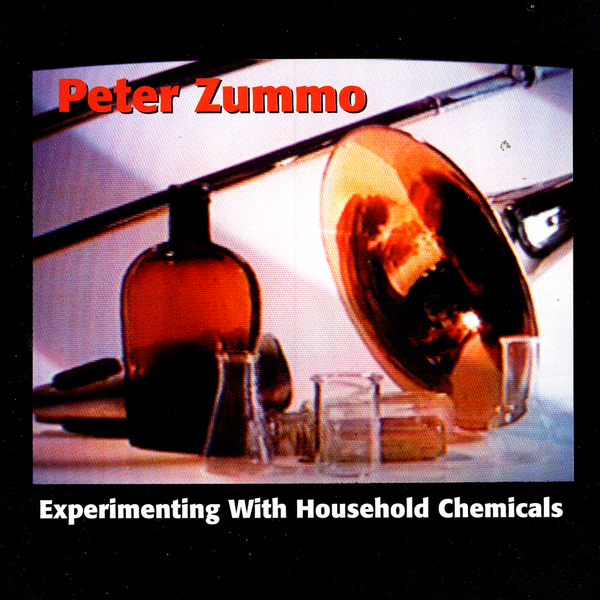 'Experimenting With Household Chemicals' is a 1995 album by the laregly elusive post-minimalist Downtown experimenter Peter Zummo. Whilst possibly best known for his work on classic Arthur Russell recordings, he's been a mainstay of New York's vaunted experimental scene since the the mid-late '70s, but only released three solo albums proper. This is his 2nd, exploring "a trombone-specific method for generating melodic movement, as well as a collection of related, "spinoff" melodic material for ensemble." It's a beautifully loose and democratic brace of compositions, free-grooving and charmingly unique pieces of flighty, conversational avant-garde which rarely become too challenging and never obtuse, finding the balance between rooted, rolling and jazz-wise groove and unusual, engrossing expression.